Do you remember the first time you learned about Christopher Columbus? According to History.com, Christopher Columbus was an Italian explorer who sought to sail the ocean and find a western route to Asia. We all know how the story actually unfolds. On October 12, 1492 (after he sailed the big ocean blue) Columbus arrived in the modern-day Bahamas. History.com notes he also explored Cuba and Hispaniola, which he believed to be China and Japan at the time. It took Columbus until his third journey to the new territory to realize he hadn’t reached Asia, but instead “discovered” a content the Europeans weren’t yet aware of. Fast forward 526 years and people around the world still celebrate Christopher Columbus and his discovery today through parades and festivals. In the United States, Columbus Day is a national holiday recognized the second Monday of each October. Though the land Christopher Columbus found was definitely already inhabited, it did introduce Europe, and much of the rest of the world at the time, to land they weren’t aware existed. Now that we’ve covered the abridged significance of Christopher Columbus, it’s time to circle back to the 21st century. 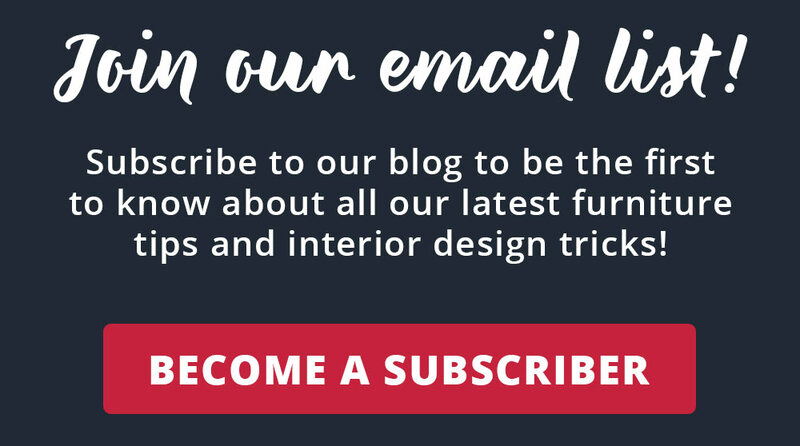 Today on the American Freight Furniture and Mattress blog, we’re covering our favorite furniture pieces that could possibly be loosely inspired by Columbus’ journey to the Americas. We hope you like it! Let’s get started. What better way to highlight Columbus’ long, epic journey from coast to coast than to talk about our favorite blue sofa and loveseat sets? From the Conversation Indigo to the Anna Blue, there’s a big blue sofa for everyone at American Freight Furniture and Mattress. 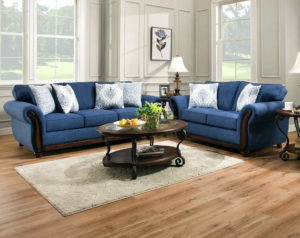 The Malibu Sea Sofa and Loveseat is an oversized blue sofa set featuring plush rolled arms and wooden accents. The matching accent pillows are the same blue shade as the couch on one side and display intricate blue and white patterns on the other. Place this stylish set in a formal or casual entertaining room. The set has an elevated shape with comfy cushions which it makes it perfect for any room. The Anna Blue Sofa and Loveseat is a light blue set that takes cute and comfortable to the next level. The blue-gray color is modern and simple. The rolled arms are plush and soft. You could lean against them without a throw pillow. Speaking of accent pillows, this set comes with four pillows in a multicolored honeycomb pattern. Two smaller blue pillows complete the set of six. We recommend staging this set in a casual entertainment space or den. 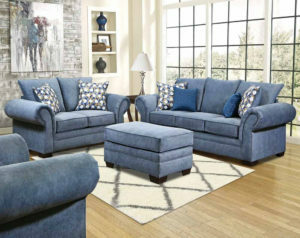 Let’s chat about the Conversation Indigo Sofa and Loveseat set. 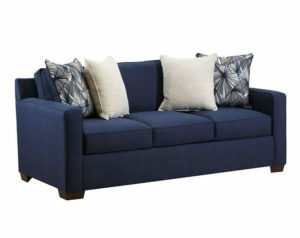 This rich blue sofa set is modern and sure to compliment your space. The squared cushions, arms, and build borrow from a Mid Century Modern design without the tall, slender sofa legs. These sofa legs are shallow and square so they sit low to the ground. We love this sofa and loveseat combo because there are so many ways to dress it up or down with a throw blanket or accent pillow. American Freight Furniture and Mattress offers a great selection of colorful and stylish furniture to meet your needs. To learn more about how you can incorporate blue into your home, click here. Find a store near you and browse our latest selection of furniture and mattresses. While you’re there, be sure to ask about how you can take your furniture home today with low easy payments. We also offer layaway options and same-day delivery on all in-stock items.